Arsenal have turned out to be a surprise package this season. No one really did expect the London side to pick up such great form under their new boss Unai Emery, and they're clearly on a rollercoaster ride this season. From losing their first two Premier League games against Man City and Chelsea, the players have gone on to put in their best performances for Arsenal in the past decade. 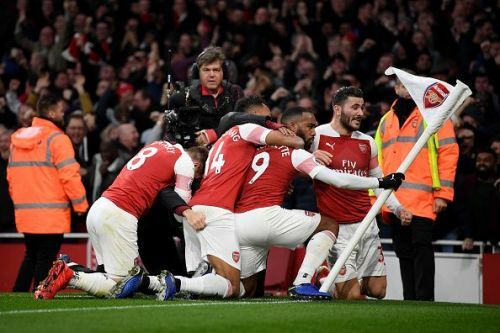 The Gunners are enjoying their team's sudden success, and though they terribly struggle away from home, they can beat the best of sides when it comes to playing at the Emirates, and the Gooners must be immensely happy with how quickly Unai Emery has brought Arsenal back to be a threat. Their glorious team goals and the confidence they possess in what they do are a treat to watch. Arsenal were a struggling side under Arsene Wenger in his late years, and Unai Emery had incredible pressure on his shoulder. The Frenchman's tenure with Arsenal was great, indeed, but it was time for him to take his leave and Unai was the right man to take the team forward. Emery's unpredictable tactics have impressed the fans and they are willing to see more of it in the coming weeks as there are only 8 more games left in the Premier League, and they will certainly wish for a top 4 finish, if not top 3. Sokratis is probably the most loved player at the Emirates currently. The Greek Wall, as people say. Stability and balance in a squad are keys to success, and it seems like Arsenal have successfully achieved that. Just when the season is about to end, the players are gaining their form back and this is helping Arsenal by a great margin. Unai Emery and co have focused on every part of the team, on the aspects where work had to be done, and the aspects where Arsenal was already good at. Last season, the Gunnars were clearly exposed on the defending side, as they conceded nearly 100 goals in the calendar year, something, not the fans really wished for. 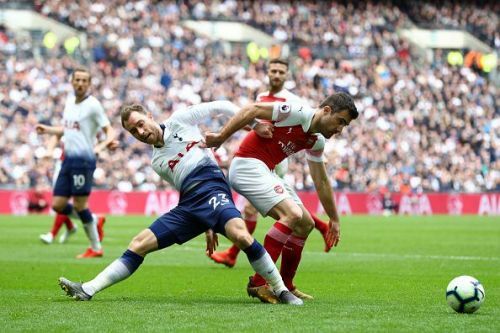 It's not a big change yet, but when Sokratis and Koscienly have played together, there never seems to be any defensive lapse. A stable defence provides freedom for the forwards to play their natural game. Though some players have been below average yet again this season, the inclusion of Matteo Guendouzi, Sokratis, Torreira and Leno has brought about significant changes in the team.